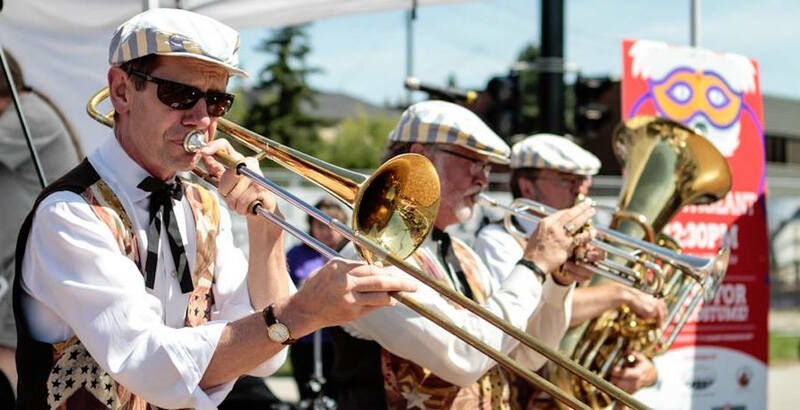 One of Calgary’s favourite outdoor events is taking place this weekend, when Marda Loop will be turned into a celebration of summer, music, and community. Marda Gras 2018 will take place on Sunday, August 12 from 10 am to 5 pm, with residents and visitors alike being encouraged to come by and check out all the performances, food, and music that will be on display. The event is entirely free to attend (though make sure to bring some money for the food trucks) and is suitable for people of all ages. Included in the itinerary will be a battle of the (air) bands, a pet pageant, and multiple bands and dancers. The performances will be spread across four stages in the area at 19th Street, 18th Street, 22nd Street, and 20th Street, meaning that there will always be a place to go and something new to see. There will also be multiple vendors set up offering handmade products to check out, so, again, while the event is free, it’s a good idea to bring some cash just in case.